Vejle Municipality tests and scales new technologies that can create cleaner, smarter and more climate-friendly urban spaces. As part of Rockefeller’s urban network, 100 Resilient Cities, Vejle Municipality uses new technology and data to become more aware of how to create greener and smarter urban areas and address challenges like pollution. Under the Smart City headline, Vejle tests digital solutions in low-cost pilot projects before scaling up the best. For example, the relationship between traffic, air quality and CO2 levels was tested in 2016 using low-cost sensors in collaboration with the Technical University of Denmark, the Norwegian University of Science and Technology and Climate-KIC. The pilot project demonstrated the potential for more data-driven decision-making when tackling pollution and greenhouse gas emissions. LED street lights not only result in lower power bills, but make people feel safer due to the brightness of the light. Another of Vejle Municipality’s Smart City projects registers Wi-Fi signals in the city center to provide an overview people’s movements. The goal is to use the data to create better opportunities for citizens and tourists to use green transport options, such as buses, bikes and walking, thus designing a more climate-friendly city. Lastly, the municipality has installed LED lighting across many of its 25,000 road lighting fittings. This has so far resulted in a power saving of 3,552 MWh – the equivalent of the annual electricity consumption of 800 houses. 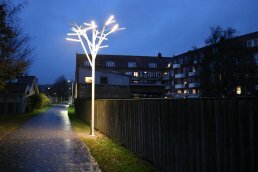 Globally, we need to be more energy efficient, and Vejle Municipality shows how this can be achieved with its LED street lights, using 70% less power than traditional street lighting. Technology and innovation are the cornerstones of smart city projects, which use digital solutions to address environmental and climate challenges such as pollution and congestion. 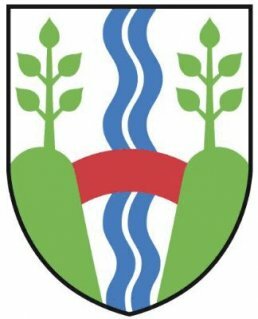 The membership of 100 Resilient Cities and the Smart City strategy demonstrate Vejle Municipality’s focus on partnerships. This is further demonstrated by the Air Quality Measurement Project.